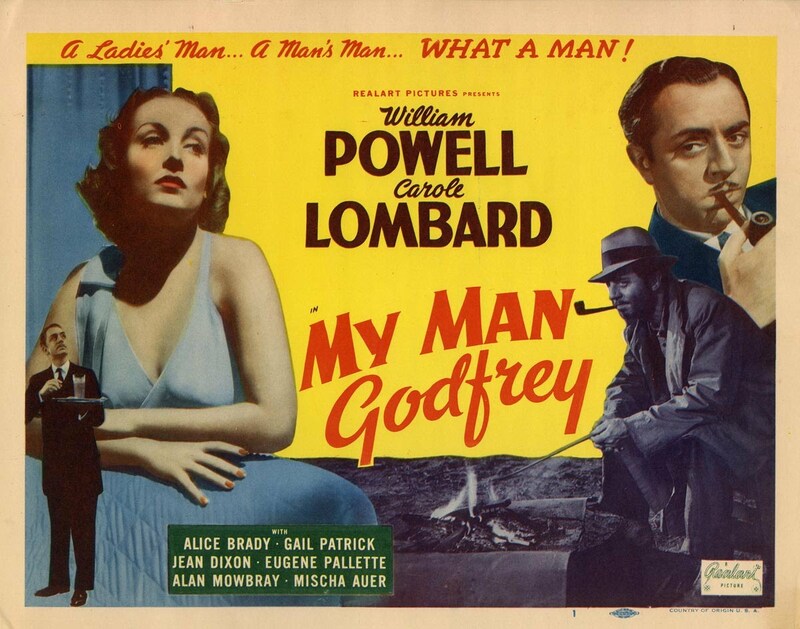 Fifth Avenue socialite Irene Bullock (Carole Lombard) needs a “forgotten man” to win a scavenger hunt, and no one is more forgotten than Godfrey Park (William Powell), who resides in a dump by the East River. Irene hires Godfrey as a servant for her riotously unhinged family, to the chagrin of her spoiled sister, Cornelia (Gail Patrick), who tries her best to get Godfrey fired. As Irene falls for her new butler, Godfrey turns the tables and teaches the frivolous Bullocks a lesson or two. « Save your seat at the Old Greenbelt Theatre today.